Considered an accomplished, versatile writer, Peter Ackroyd has authored works ranging from poems to novels, criticism to biography. Ackroyd came to literary prominence as a biographer, and his well-received volumes on literary giants T. S. Eliot and Charles Dickens were complemented by his novels that frequently fictionalize the lives of famous historical personalities, such as Oscar Wilde and Thomas Chatterton. In addition to fusing history and fiction, Ackroyd’s novels also consider the nature of time and art, often involving the protagonist in situations that transcend time and space. Difficult Transition to Life at Cambridge. In 1968, Ackroyd enrolled at Clare College, Cambridge, where he took a degree in English in 1971. As a working- class student funded by a local authority grant, Ackroyd found the transition to Cambridge life difficult at first. According to Gilbert, Ackroyd tried to disguise his London accent when he arrived at the university: ‘‘I spent hours trying to get certain vowel sounds right. I still sometimes get them wrong and slip into Cockney.’’ After graduation, Ackroyd was awarded a Mellon Fellowship at Yale University, where he spent two years doing graduate work. He returned to England in 1973 as literary editor of The Spectator, a right-wing weekly political magazine. In 1978, he became joint managing editor at The Spectator, a post he held until 1982, when he resigned to write full time. By then he had completed one novel, The Great Fire of London (1982), an interpolation of historical and present day narratives. Ackroyd used the pattern he established in The Great Fire of London (1982) for a number of his later novels, including Hawksmoor (1985) and The House of Doctor Dee (1993). This strategy proved successful and Hawksmoor won both the Whitbread Novel Award and the Guardian Fiction Prize. Likewise, Chatterton (1987) is a complex exploration of forgery. Career as a Novelist. Ackroyd’s other novels include First Light (1989), a creative distillation of English history; English Music (1992), which views English history through the lens of myths and traditions; The House of Doctor Dee (1993), which explores the lesser seen aspects of London’s history. The book employs a dual narrative form, told in turns by Matthew Palmer, a contemporary researcher, and John Dee, the Elizabethan alchemist, both inhabitants of the same house in Clerkenwell; Dan Leno and the Limehouse Golem (1994) combines murder with the arena of a Victorian music hall; and in Milton in America (1996), Ackroyd creates ‘‘New Milton,’’ a Puritan community founded and governed by a poet. A Private Life. Ackroyd is reticent about the details of his private life, but it is known that for many years he shared a house with his partner, Brian Kuhn. After Ackroyd won several lucrative literary prizes, he and Kuhn moved in 1990 to a cottage in Lyme Regis and then, in 1993, to a large house in north Devon, with a swimming pool, lake, and park. 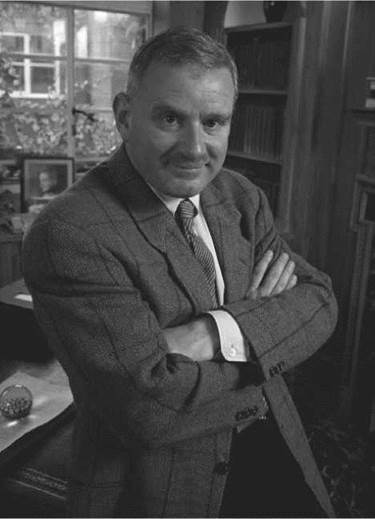 When Kuhn died from an AIDS-related illness in 1994, Ackroyd sold his Devon property and moved back to London. Expansion into Other Genres Ackroyd’s other literary efforts include poetry, short stories, literary criticism, a variety of non-fiction works, and a play. London: The Biography (2000) was awarded the South Bank Show Annual Award for Literature. The Collection: Journalism, Reviews, Essays, Short Stories, Lectures (2001) collates essays on literature and film. Illustrated London (2003) was short-listed for the 2003 British Book Awards Illustrated Book of the Year. Ackroyd’s most recent book about London is Thames: Sacred River (2007). Ackroyd’s first play, The Mystery of Charles Dickens (2000), was directed by Patrick Garland and Dickens: Public Life and Private Passion (2002) was accompanied by a three-part BBC TV series. The Plato Papers (1999) is set 2000 years in the future where the citizens of London remember a dark historical era, 1500-2300 C.E. The Clerkenwell Tales, a story of adventure and suspense set in the late medieval world, was published in 2003, followed by The Lambs of London, in 2004, and The Fall of Troy (2006). Most recently, Ackroyd has published Poe: A Life Cut Short (2008). Peter Ackroyd continues to write from his home in London. Karen Tei Yamashita (1951- ): Japanese-American author whose works emphasize the necessity of multicultural communities in a globalized age. Mo Yan (1955- ): Chinese novelist whose work has frequently been banned by the Chinese government. Mikhail Baryshnikov (1948- ): Russian-born ballet dancer, often cited as one of the best of the twentieth century. Woflgang Puck (1949- ): Austrian chef and restaurant owner. Alan Rickman (1946- ): Winner of a number of acting awards, this English actor plays Severus Snape in the Harry Potter films. In his fiction, Ackroyd focuses upon the interaction between artifice and reality. He emphasizes the ways in which contemporary art and life are profoundly influenced by events and creations of the past. Often described as pastiches—collages of literary elements—Ackroyd’s novels blend historical and invented material, parody, multiple narratives, and self-reflexive techniques to explore the lives and writings of such noted personages as Oscar Wilde, Nicholas Hawksmoor, and Thomas Chatterton. The Great Fire of London: A Paradigm for Understanding Ackroyd’s Writing. Many of the elements of Ackroyd’s later fiction are present in his first published novel, The Great Fire of London: the intersection of past and present, the detailed London urban setting, strong echoes of the works of Dickens, a talent for mimicry, and a concern with recording everyday speech. The Great Fire of London was respectfully reviewed as a good Dickensian pastiche, but it did not generate the level of excitement that greeted Ackroyd’s more-mature novels. There is an element of deception in the title of Ackroyd’s novels, especially as the first four, The Great Fire of London, The Last Testament of Oscar Wilde, Hawksmoor, and Chatterton could be the titles of historical or biographical studies rather than works of fiction. The fire in The Great Fire of London is not that of 1666, an event referred to in Hawksmoor, but an apocalyptic fictional one that begins with the burning of a film set for a screen adaptation of Little Dorrit (1855-1857) by Charles Dickens. As if to substantiate his theoretical point that writing emerges from other writing rather than from life, Ackroyd draws on Dickens’s novel in many ways, thus emphasizing the fictionality of his own fictional world, however realistic it may appear in some respects. Indeed, Ackroyd’s novel is centrally concerned with the human drive to create fictions in life as well as in art. The short opening section of The Great Fire of London, ‘‘the story so far,’’ outlines the plot of Little Dorrit and ends: ‘‘although it could not be described as a true story, certain events have certain consequences’’—including, of course, the writing of Ackroyd’s novel. Dickens’s eponymous heroine and the novel itself feature prominently in the minds of many of Ackroyd’s characters. The setting of much of Little Dorrit, the Marshalsea Prison, also provides a link between the two novels because its site is visited by several of Ackroyd’s characters. With its panorama of London in the 1980s from left-wing activists to gay bars, The Great Fire of London is at least as much a London novel as Little Dorrit. Ackroyd’s narrative structure, in which several strands begin in parallel and gradually intertwine and coalesce, is itself derived from Dickens’s methods and techniques, especially in his later novels such as Little Dorrit. Mock Biography. Ackroyd’s second novel, The Last Testament of Oscar Wilde (1983), is his first mock autobiography. The book is presented as a journal that Oscar Wilde kept secretly between his arrival in Paris after being released from Reading Gaol, where he had served a sentence of hard labor for acts of gross indecency, and his death on November 30, 1900. The novel is a richly imaginative blend of recorded fact and Wildean epigrams, demonstrating Ackroyd’s ability to enter into the language and mindset of his historical subject. The Other Boleyn Girl (2001), a novel by author Philippa Gregory. This work concerns itself with the sister of Anne Boleyn, Mary Boleyn, and analyzes the treatment of women in sixteenth-century England. Marie Antoinette (2006), a film directed by Sofia Coppola. In this work, Coppola attempts to humanize the reviled historical figure Marie Antoinette by portraying the loneliness of her life as a French queen. The Assassination of Jesse James by the Coward Robert Ford (2007), a film directed by Andrew Dominik. Based on the actual assassination of Jesse James by Robert Ford, this work (adapted from a novel of the same name) imagines a fictional relationship between the two men, and in so doing, offers a painful portrayal of fame and infamy. By the time Ackroyd published his first novel in 1982, he was already well known in the literary world as a poet, critic, literary theorist, and cultural historian. He was published first as a poet; his first book, London Lickpenny, prompted a Times Literary Supplement reviewer to deem him ‘‘a delicate and insistent stylist’’ whose words ‘‘[make] not only an odd poetry, but a poetry out of the oddness of the world.’’ Since his debut as a novelist, he has further enhanced his reputation as a non-fiction writer, first with his award-winning biography of T.S. Eliot and more recently with his imaginatively daring biography of Charles Dickens. Glen M. Johnson, explains that ‘‘as his career has developed, Ackroyd has sought ‘a new way to interanimate’ biography and fiction.’’ Before the appearance ofhis first novel, it seemed that his writing career was likely to develop in the fields of literary criticism and biography, but with five novels in quick succession between 1982 and 1989 he established himself as one of the most gifted and imaginative English novelists to have emerged during the recent past. Critical opinion differs about whether his strikingly original talent is taking the right direction, but there is little disagreement about his potential. T. S. Eliot: A Life. When The Last Testament of Oscar Wilde was published in 1983, Ackroyd was already working on the biography T. S. Eliot: A Life. In researching the poet’s life, Ackroyd encountered imposing obstacles: he was forbidden by Eliot’s estate from quoting Eliot’s correspondence and unpublished verse, and he was allowed only minimum citations of the published poetry. Critics generally agreed, however, that Ackroyd nonetheless produced a worthwhile account of the modernist poet. As A. Walton Litz writes in the New York Times Book Review, ‘‘Given all these restrictions, Peter Ackroyd has written as good a biography as we have any right to expect. He has assimilated most of the available evidence and used it judiciously.’’ Rosemary Dinnage of the New York Review of Books, also praised Ackroyd’s difficult feat, observing that he ‘‘illuminates Eliot’s poetry and criticism more acutely than many a ponderous academic volume.’’ And Newsweek’s Paul Gray contended that Ackroyd’s biography ‘‘does more than make the best of a difficult situation; it offers the most detailed portrait yet of an enigmatic and thoroughly peculiar genius.'' In the end, Ackroyd acknowledged to Contemporary Authors that his inability to quote Eliot's letters or work made for a better book because ‘‘I had to be much more inventive about how I brought him to life,'' T. S. Eliot: A Life won both the Whitbread Biography Award and the Heinemann Award. 1. How does Ackroyd’s use of historical figures and details differ from other authors of historical fiction? Do you believe that these distinctions justify Ackroyd’s insistence that he does not write historical fiction? Why or why not? In your response, make sure to cite specific examples from your chosen texts. 2. Read Ackroyd’s The Great Fire of London and Dickens’s Little Dorrit. It has been argued that Ackroyd’s text is a kind of continuation of the Dickens novel. After having read both, why do you think Ackroyd featured Little Dorrit so prominently in his own novel? Would the novel stand without all the references to the Dickens text? Support your response with passages from each novel. 3. Give historical fiction a shot. Choose an important historical person or event, research it—using the library and the Internet—and then write a short story or film that incorporates both historical fact and imaginary elements. Then, in a short essay, describe the choices you made and your experience of writing historical fiction. 4. Using the Internet and the library, research the life and writings of Oscar Wilde. Then, read Ackroyd’s The Last Testament of Oscar Wilde. Some feel Ackroyd truly captures the voice of Wilde in this text, while others are not so sure. After having researched Oscar Wilde and having read Ackroyd’s novel, howwell do you think Ackroyd represents his main character—in terms of voice and character? Gibson, Jeremy and Julian Wolfreys. Peter Ackroyd: The Ludic and Labyrinthine Text. New York, N.Y.: St. Martin’s Press, 1999. Jaen, Susana Onega. Metafiction and Myth in the Novels of Peter Ackroyd. Columbia, S.C.: Camden House, 1999. Finney, Brian. ‘‘Peter Ackroyd, Postmodernist Play and Chatterton.’’ Twentieth Century Literature: A Scholarly and Critical Journal (1992). Leivick, Laura. ‘‘Following the Ghost of Dickens.’’ English New York Times Magazine (December 22, 1991). Peck, John. ‘‘The Novels of Peter Ackroyd.’’. English Studies: A Journal of English Language and Literature (1994). Smith, Amanda. ‘‘Peter Ackroyd.’’ Publishers Weekly (December 25, 1987).